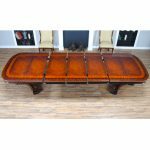 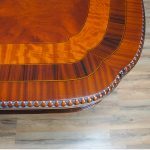 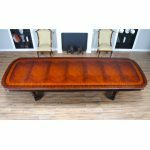 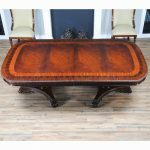 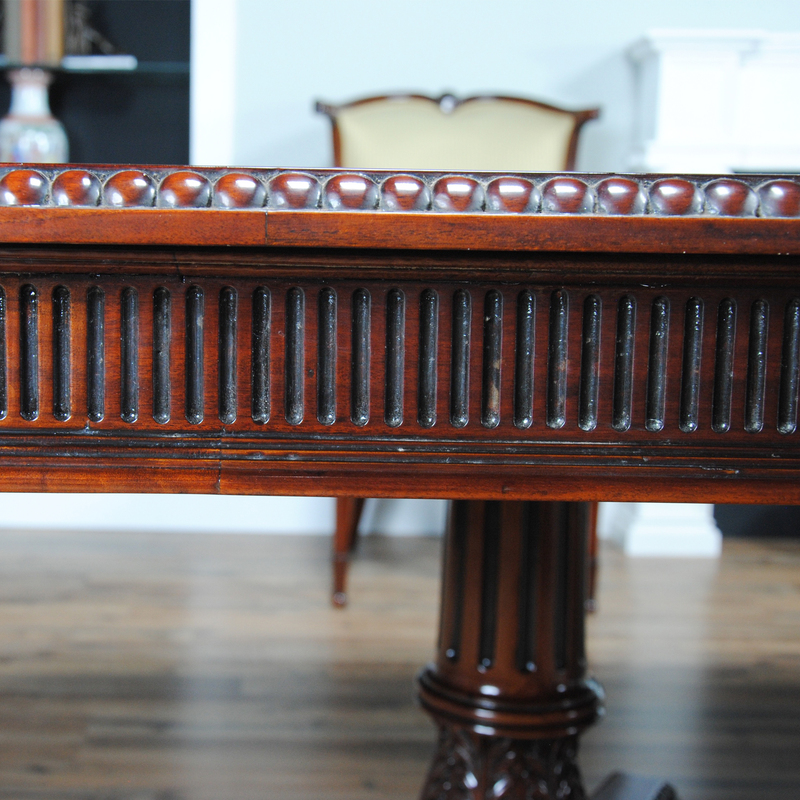 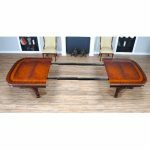 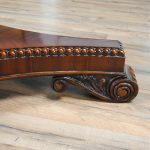 The Rosewood Banded Large Mahogany Dining Table from Niagara Furniture. 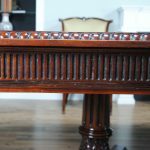 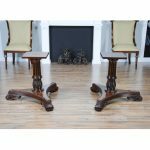 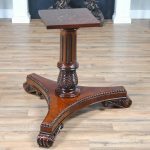 We took all of our favorite features from all of our favorite extension style dining tables and combined them into this item. Layers of banding around the edge of the feature the finest satinwood, rosewood and mahogany veneers, all of them hand cut and applied by our master craftsmen. 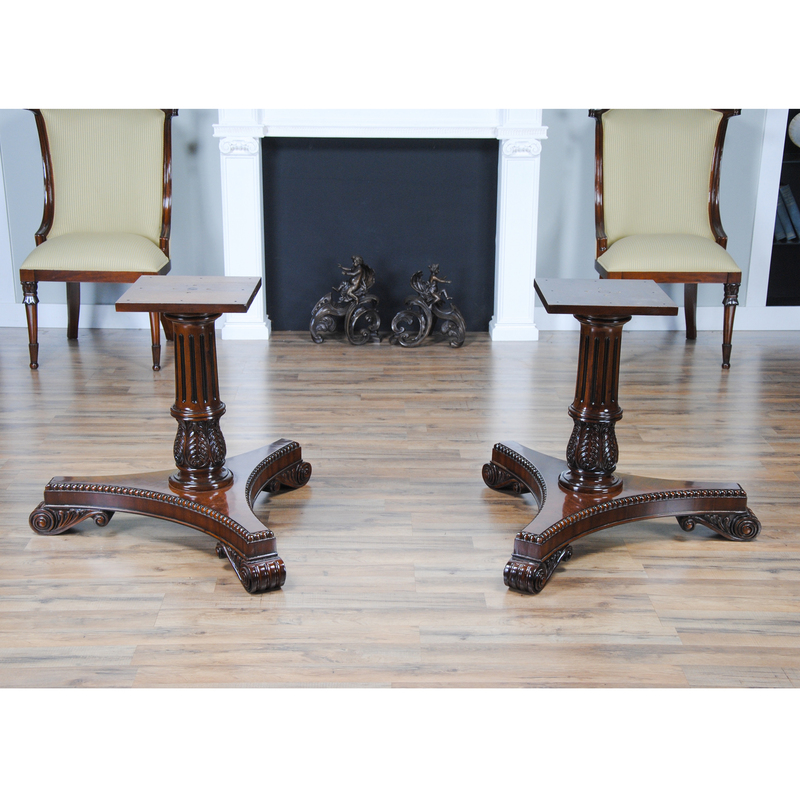 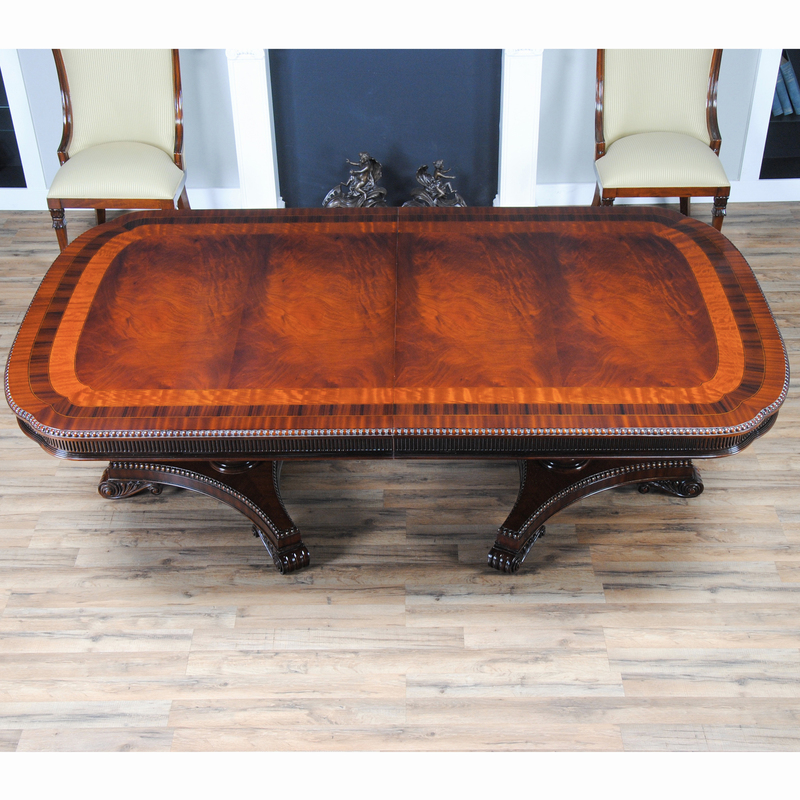 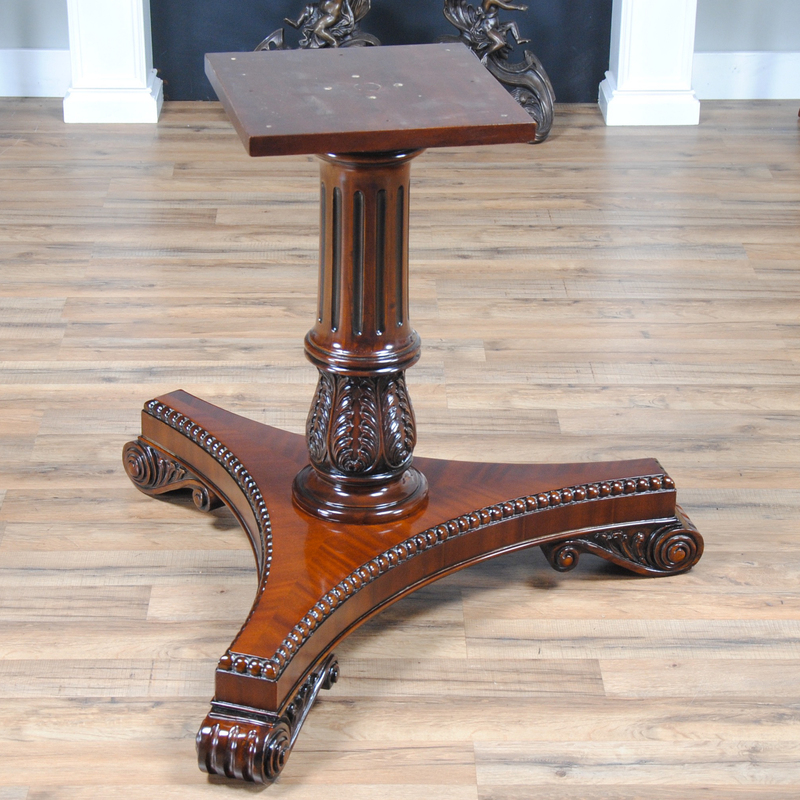 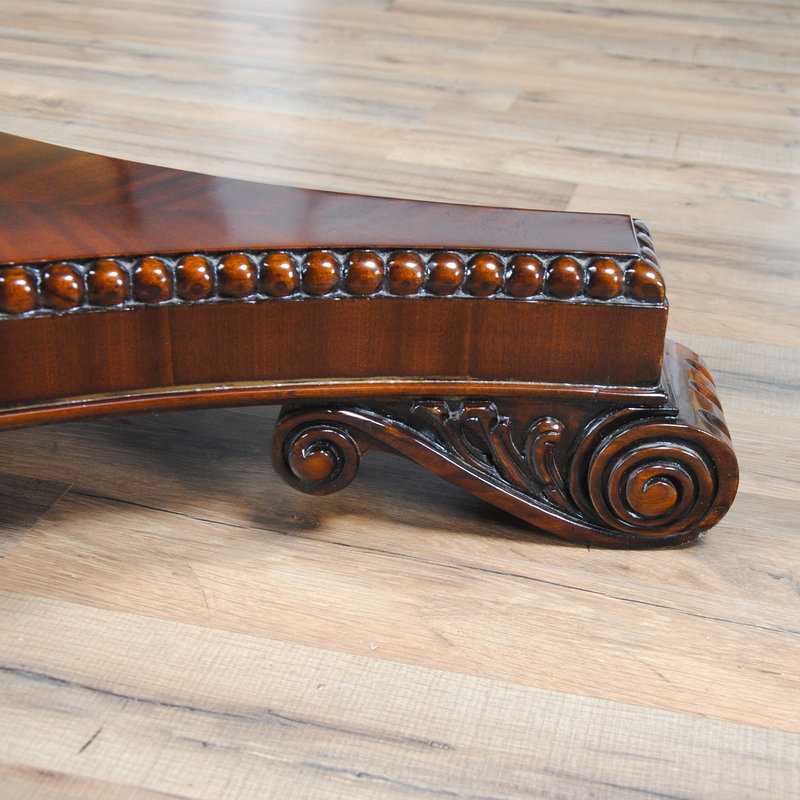 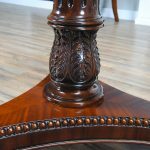 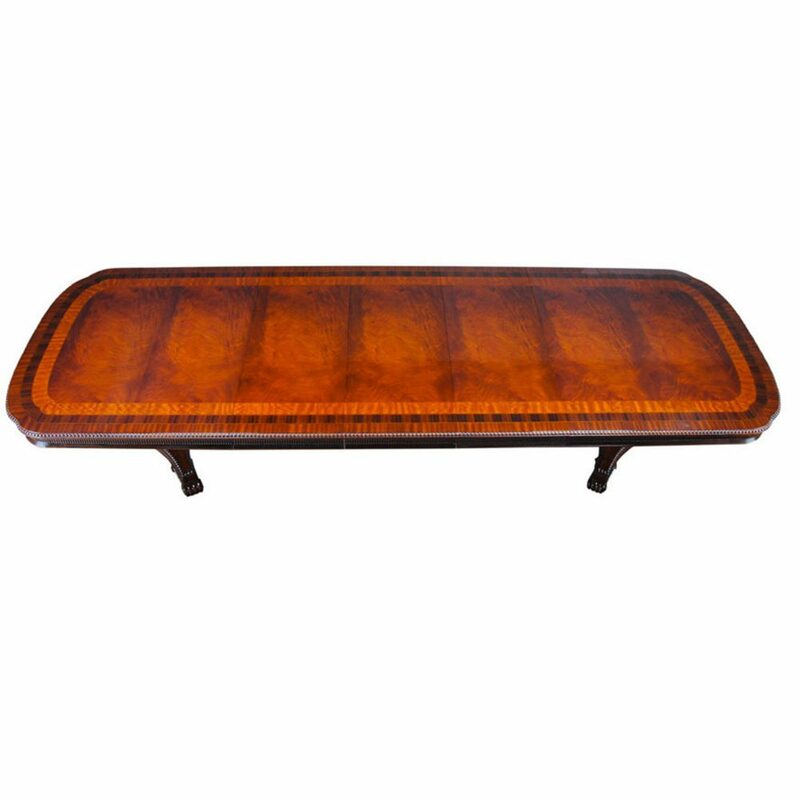 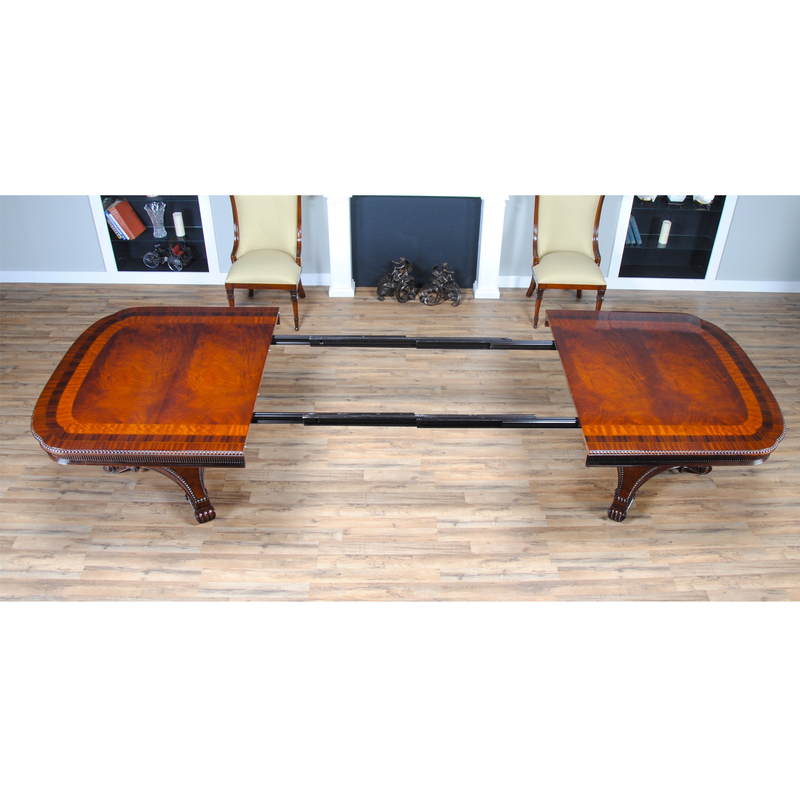 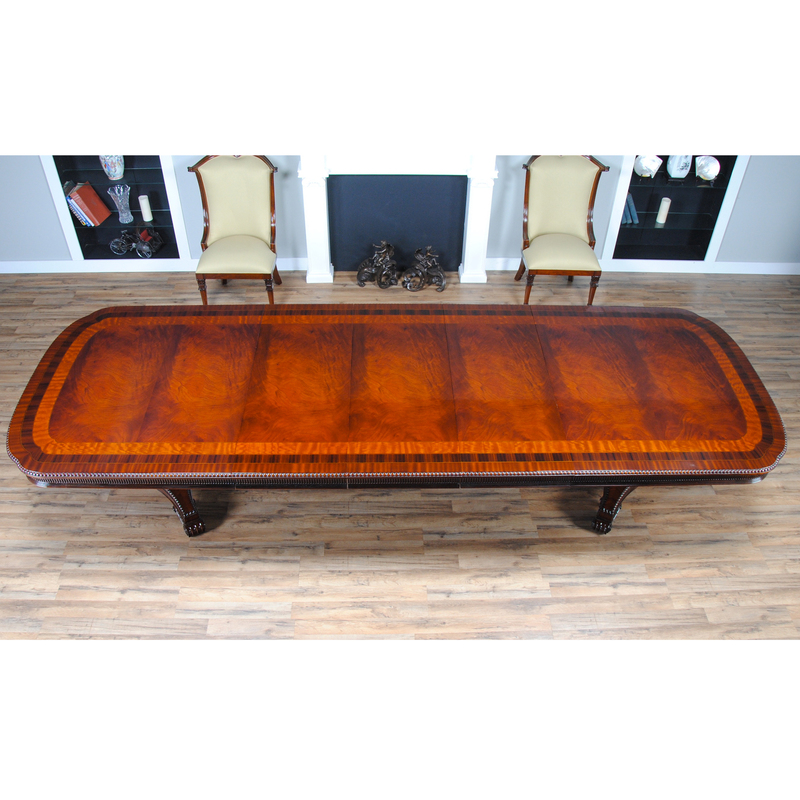 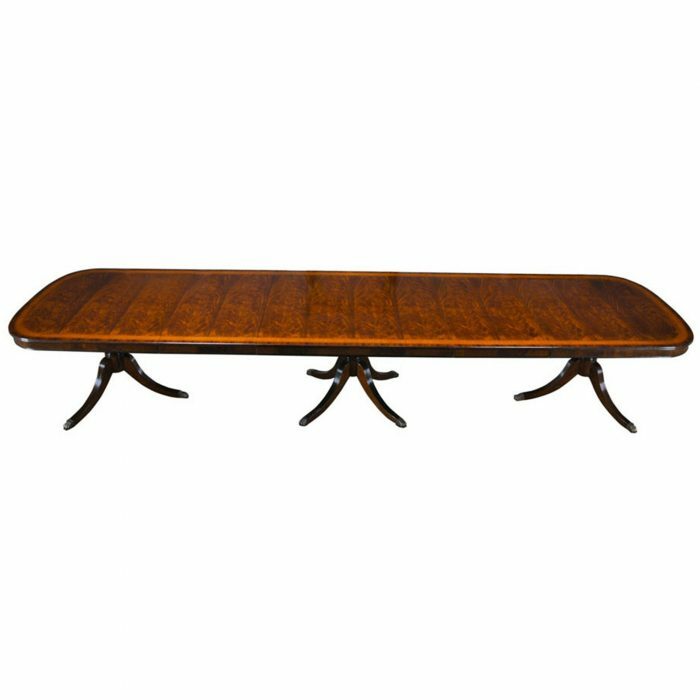 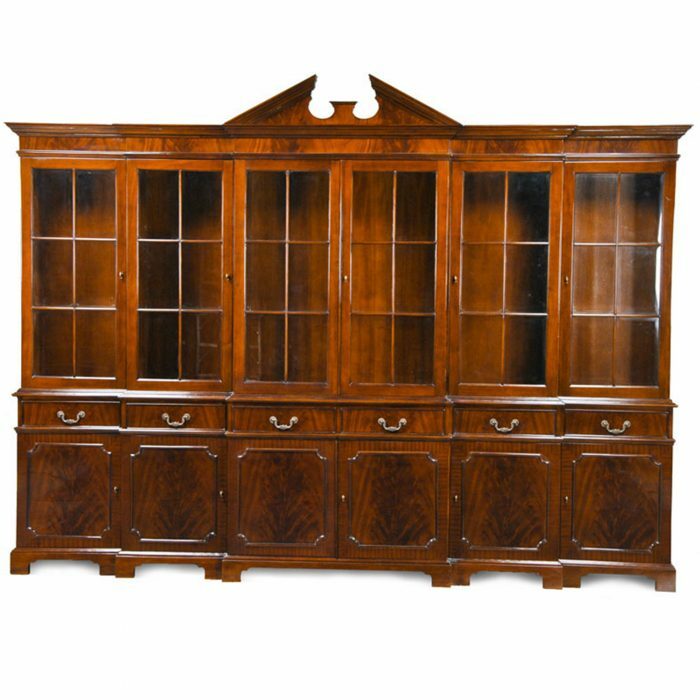 The field of the table features figured mahogany veneers hand selected from the finest available materials. 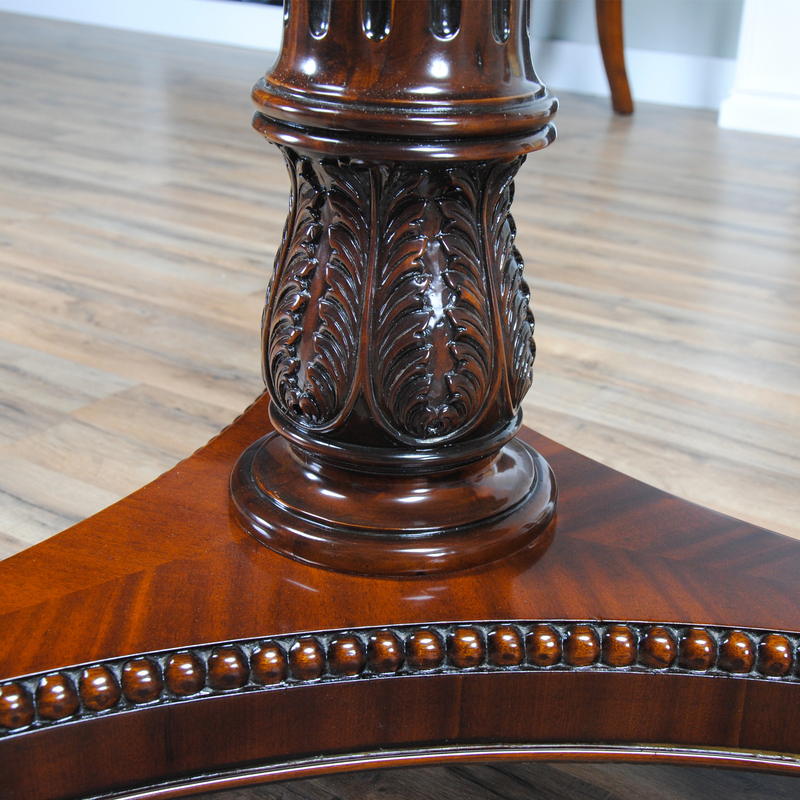 The beaded edge of the table is hand cut from solid mahogany and the veneered and solid mahogany pedestals are works of art in themselves. 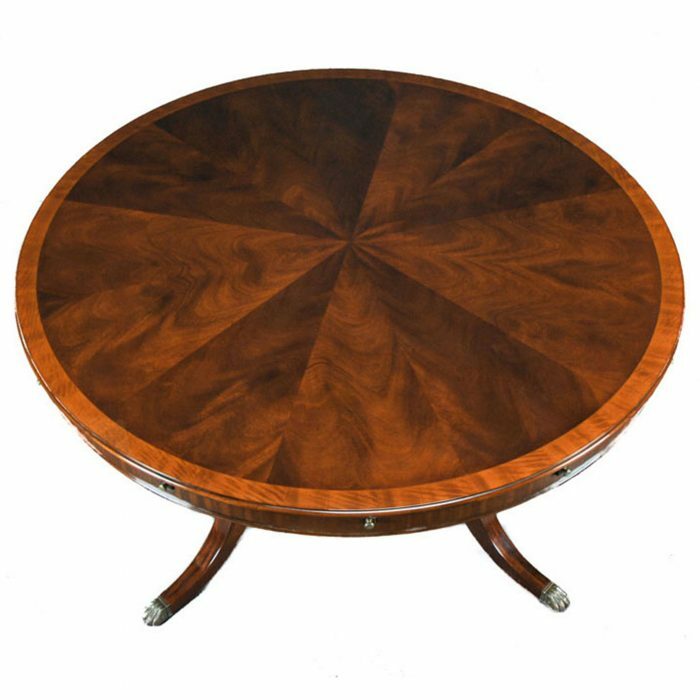 This tables’ design features work together to provide the ultimate in sophisticated luxury. The overall width of the table is 54 inches and closes to as small as 94 inches. 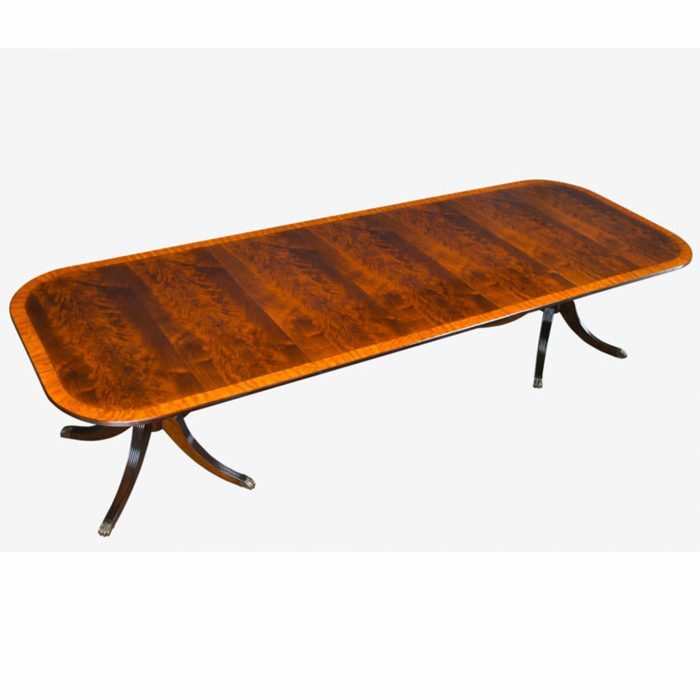 With the three leaves in place the table opens to a full length of 155 inches making it versatile and suitable for even the largest of family gatherings.